Monica Zip Jacket is a lightweight casual jacket to wear all day from brunch to dinner. 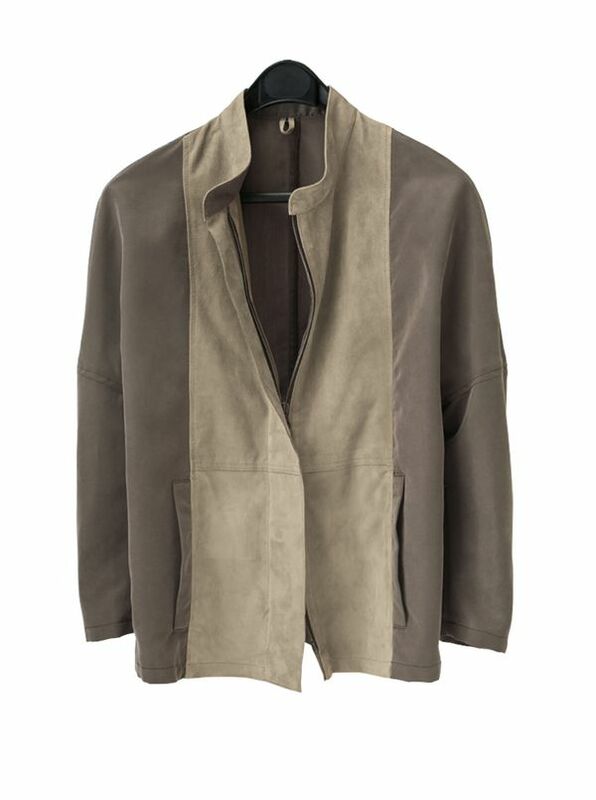 Tailored in Italy with soft suede panels combined with soft silken cupro rayon sides sleeves and back. The result is lightweight very practical luxury. With zip front stand-up collar two pockets bracelet-length sleeves.